As it turned out I was over four hours early for my flight. Luckily a very nice attendant offered to keep my suitcase behind the counter because I was so ahead of schedule I wasn’t even allowed to check my luggage! I’m used to waiting at the airport, which if you know me is a common occurrence if flying and I are involved. The flights to our part of Texas are few and far between. But if it’s not the timing, it’s the airline. So I wait. Some airports aren’t as bad as others. 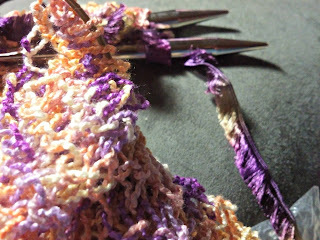 This time I have some knitting with me. And I like to people watch so it will be a productive wait at least! My phone battery is almost dead so I found a chair with the plug underneath it. Dallas Love Field has recently remodeled so there are a few more of these chairs available than there used to be. A man, a pilot I think, because he’s wearing a uniform that could pass for such, and a young girl take the two seats beside me. She has a large pink purse with a silver skull on it. She’s entertained by her phone the whole time. She would giggle and sometimes show him the screen. The man doesn’t look very old, late 30s to mid-40s, probably. I think she’s his daughter. He goes to the counter for a while and she and I sit beside each other, each stealing glances at the other. When he came back they left. I saw them again later, he sans uniform and she still with the pink bag. They sit opposite me at the far end of the aisle. They sit very close and then I notice they have wedding rings on. She was his wife. A man with thick glasses is sitting at the end of the row. He’s has a newspaper and he’s skimming it while he watches my hands as I knit. He has his telephone and makes a call while he continues watching my fingers. Finally he asks what I’m making. I told him it was a scarf for a friend. He said it was very pretty. Men don’t usually ask. I think he really wanted to chat but another man sat down in the chair between us and he went back to his paper. There was a young professional, impeccably dressed in a grey business suit, white starched shirt and pink tie with little grey dots on it. He sat across from me. He was very serious and made eye contact with no one. 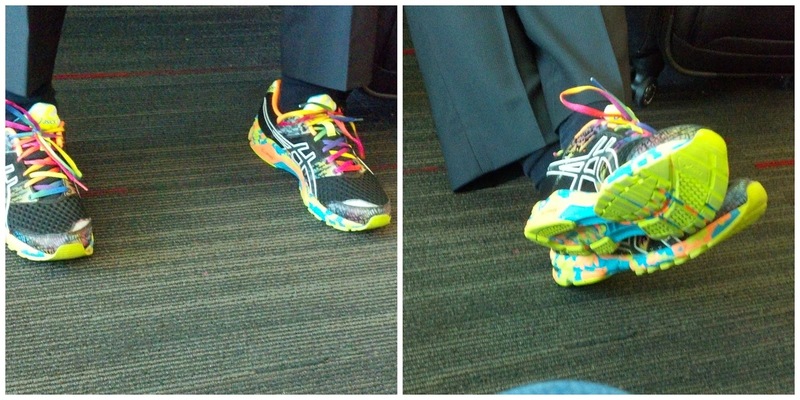 He opened his carry on, removed some very bright athletic shoes and took his dress shoes off. He removed wooden shoe stretchers from the athletic shoes and placed them in his dress shoes. He then placed each shoe in a felted shoe bag and placed them in his suitcase. He put the athletic shoes on and tied them. Then he stood, flexed his legs, and untied his necktie. He sat back down, opened his suitcase again and took out a flat case. He opened the case and balanced it on one leg while he painstakingly folded the necktie. He then placed it inside, secured it with a small strap, folded the case and put it back with his other belongings. He stood, gathered his possessions and prepared to leave. He never took off his jacket or unbuttoned the top button of his starched shirt. Finally it was boarding time. The short flight was smooth and the pilots made up the time for their part of the delay. It was late, and I was concentrating retrieving my luggage so I could make the seemingly mile walk to my car at the work parking lot. At the luggage carousel I heard someone call my name. I turned and there were four of my coworkers. One asked if I had been on that plane. Yes, I said. We commented how we had not seen each other. Across the way were two more coworkers. They had also been on the plane and none of us had seen any of those we weren’t immediately with. They all were seated before I boarded. I thought about people watching. I must not pay as much attention as I supposed. Look at what I missed. 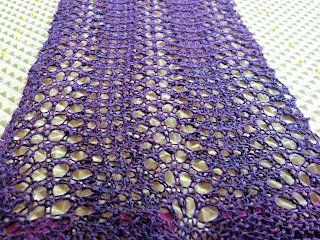 I’ve finished the scarf I was working on and it’s blocking. I’ll show more pictures later. 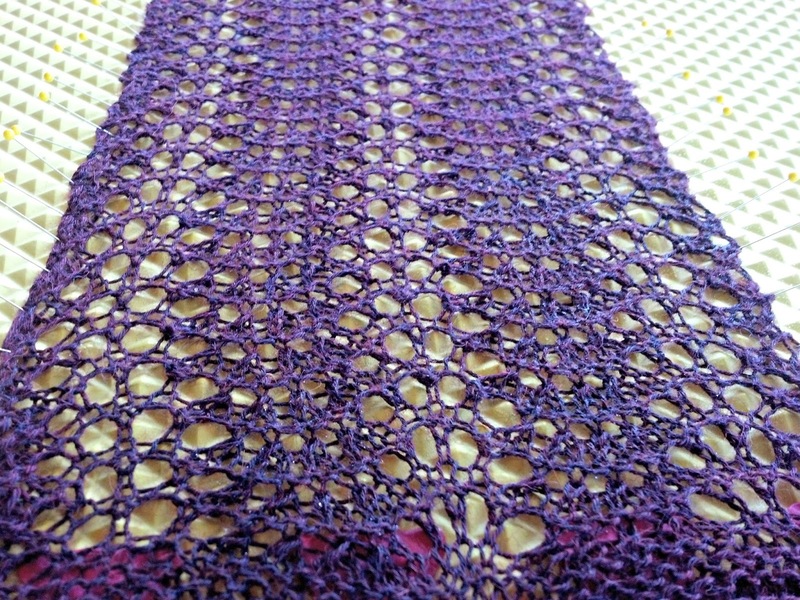 Also, I finished one of my favorite patterns, a little scarf/shawl. This happened to be purple and goldish yellow and I had a furry yarn to bind off with that matched it exactly. I did this on my first one by accident but since then I’ve thought it fun to add that little touch. 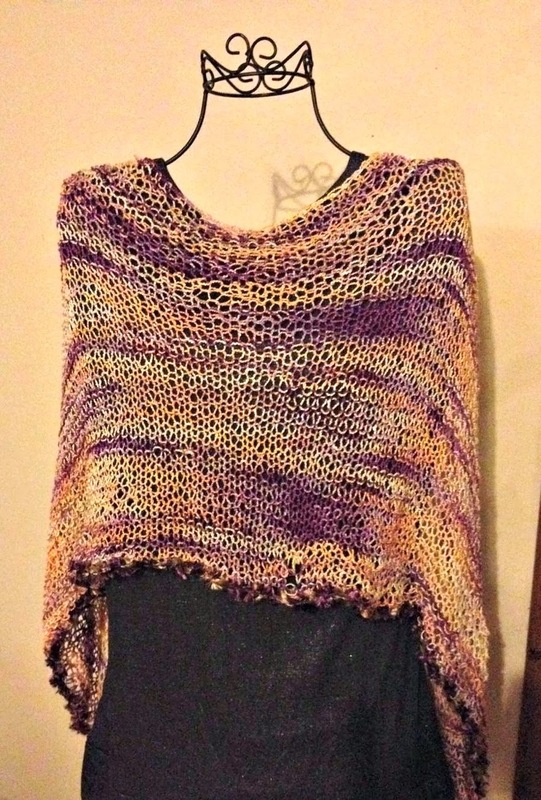 Shawl/scarf...my favorite go to pattern . I’ve started a Gap-tastic cowl. It’s coming along pretty fast. 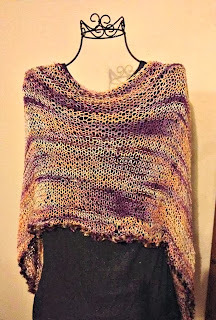 I have a long road trip coming up and thought it would be great travel knitting. I love how observant and descriptive you are! You could seriously write a book of airport observations. The man with the shoes is an amazing character. I don't think I know anybody that has a case for their ties. Interesting. I wonder what Mr Spiffy trainers does for a job?. 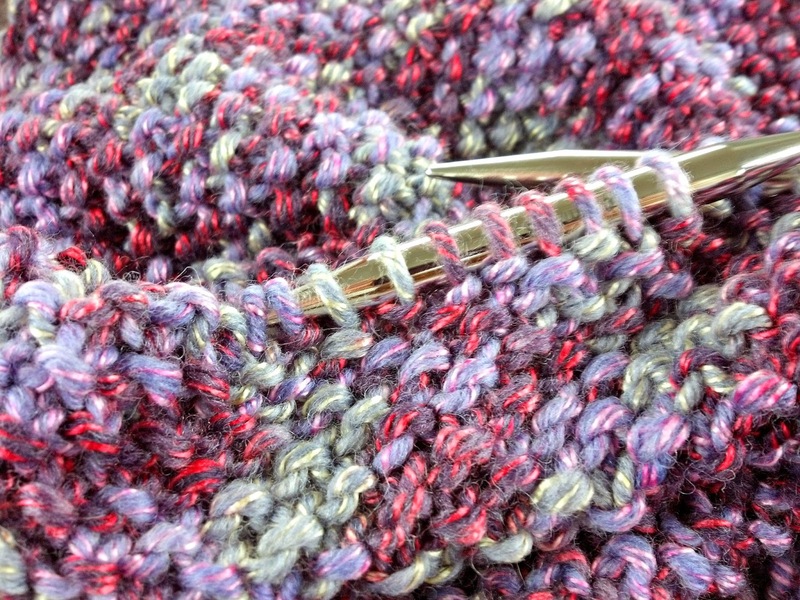 I love the gaptastic cowl. Knitted two last year (one for my daughter, the second for my sons friend) perhaps ill make one for myself one day! I love reading your blog! You really have a gift for writing. 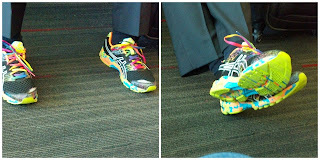 And I loved your description of the guy with the bright running shoes. Wierdo! Love the scarf & shawl!